I have something special for you! I have created a downloadable calendar for the New Year, as a token of my appreciation for you being part of my wonderful online circle. Thank you! The 2019 calendar features the classic heads of three gorgeous grey horses, celebrating beauty, spirit and dreams; with space for six of your own wishes, plans or goals (read the full article over at the Winning Horsemanship blog for some great ideas for transforming your New Year and your life)! 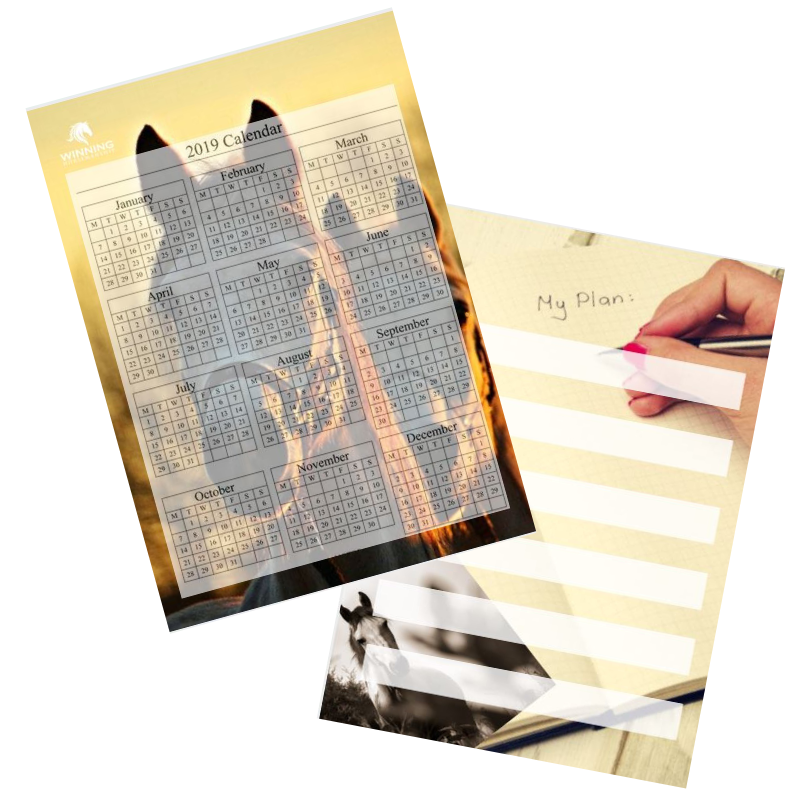 If you print your calendar on both sides of an A4 sheet, write out your plans and then laminate the page, your intention for the year ahead will be sealed! The format is easy to view year-round and laminating will make sure it goes the distance!. Feel free to share. Why not run off a few to give to your friends, colleagues and students? Your New Year calendar is ready for immediate download here (or click on the picture above). Very best wishes to you and your horses for a merry Christmas and happy, healthy and prosperous New Year. Are you on my direct mailing list? Click here to join.